A licensed Public Insurance Adjuster is a professional who, for money, commission, or any other thing of value, prepares, completes, or files an insurance claim form for an insured or third party claimant or who acts or aids in any manner on behalf of an insured or third party claimant in adjusting for or effecting the settlement of a claim(s) for loss or damage covered by an insurance contract. A Public Adjuster is hired/retained and represents only the homeowner, property owner, or business owner in filing an insurance claim on their behalf and is paid, based on a small percentage of the settlement, only when the insurance settlement check is received. Our Fee is on a contingency basis. As a Public Adjuster we are employed by you and work only for "YOU" the homeowner or the business owner. We are UNBIASED in interpreting the insurance contract. 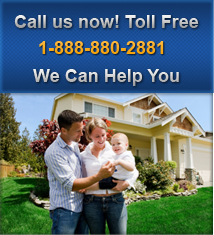 We will discuss and inform "YOU", the homeowner or the business owner, of eligible coverage in your insurance policy. We will adjust and work hand in hand with the Insurance Company's adjuster on your behalf, effecting a more favorable loss settlement to you. How much is a Public Adjuster's Services? It is FREE until we receive the claim settlement payment from the insurance company. Usually a small percentage of the settlement amount, agreed when signing the authorization agreement, is paid to the Public Adjuster. This fee usually does not affect your net claim settlement because we adjust your claim to the fullest extent of the policy coverage and policy limits, maximizing a more favorable recovery. Unlike if you would make the claim yourself. "We speak the same language as the insurance company"
Staff/Company Adjuster: works only for one insurance company as a salaried employee. 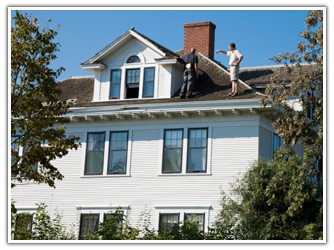 Independent Adjuster: is a sub-contractor hired by many insurance companies and is paid by them. Public Adjuster: is hired and works only for the best interest of the homeowner / property owner / business owner and is paid by them only when a settlement with the insurance company, has been obtained. HomeOwner Claims Public Adjusters, LLC has worked on all 3 phases of the adjusting business since 1979. "After the storm, my home had serious damage and Home Owner Claims was there to help me with my claim. You Guys are the best !" CALL NOW FOR YOUR FREE EVALUATION!